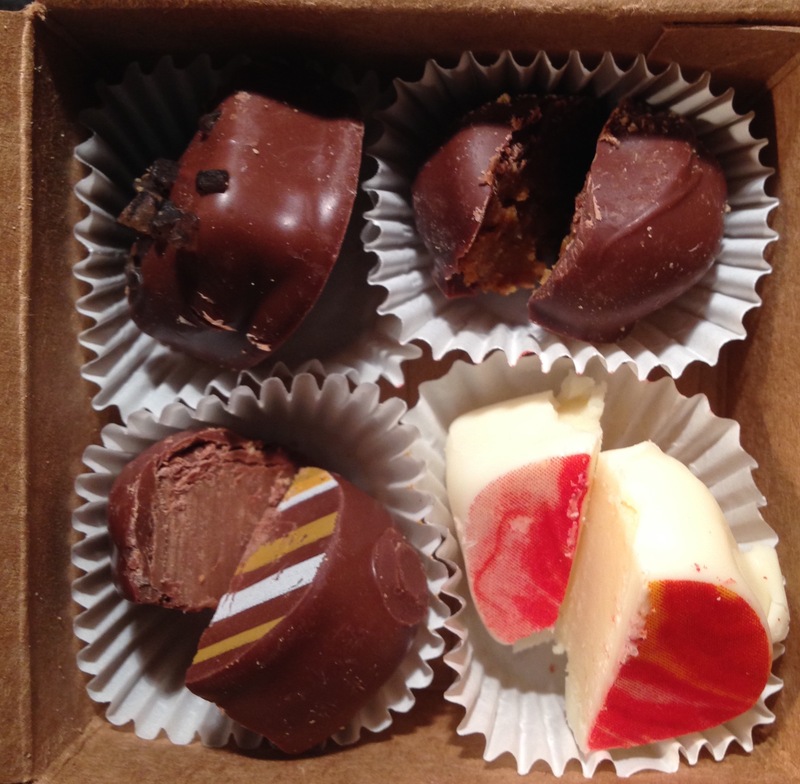 In the entire DC area, I think they might have the best deal of good quality chocolate for a lower price. They have a nice variety to choose from. 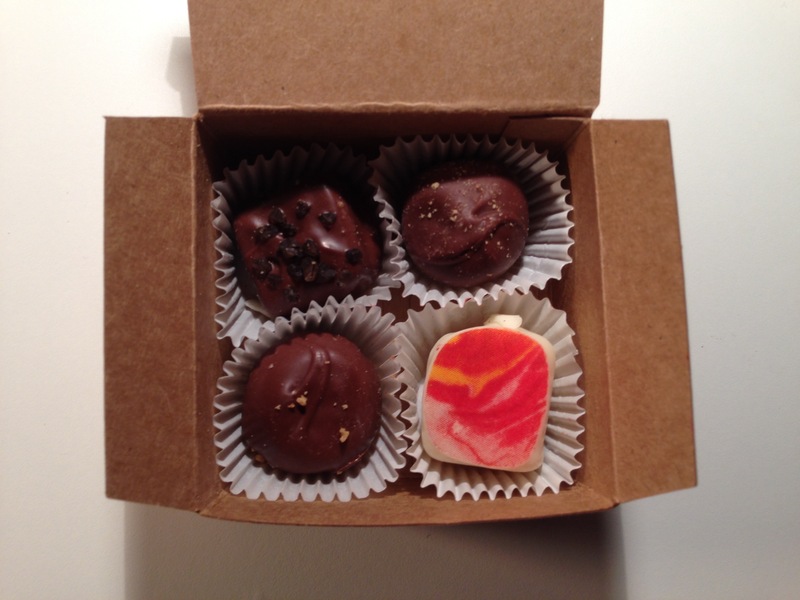 I LOVE their pumpkin truffle, so it was a great time of the year to pop over again. Because it had been a while since I had last gone to Cocoa Vienna, no one there recognized me 🙁 But they had a couple of new chocolates to try! The maple flavor in this had a gentle sweetness, not like the overly sugary taste of store bought maple syrup. 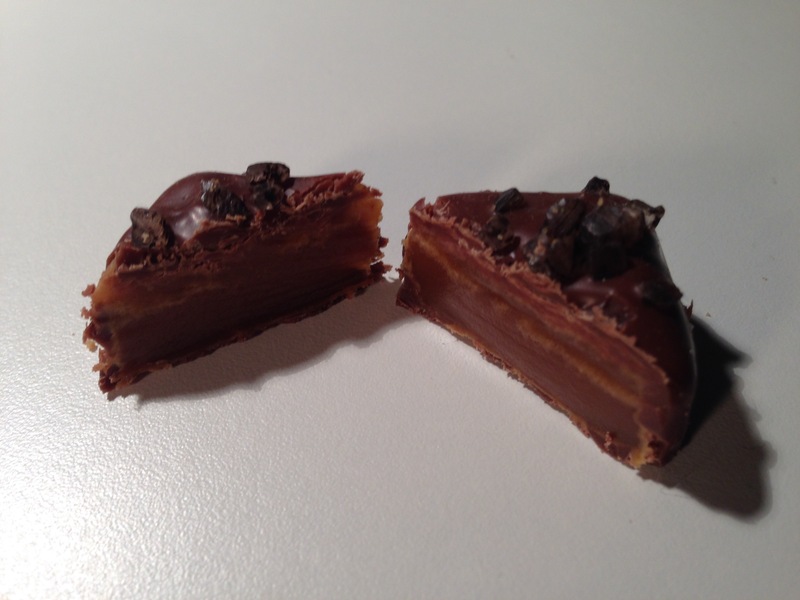 I could equally taste the milk chocolate and the maple flavor. 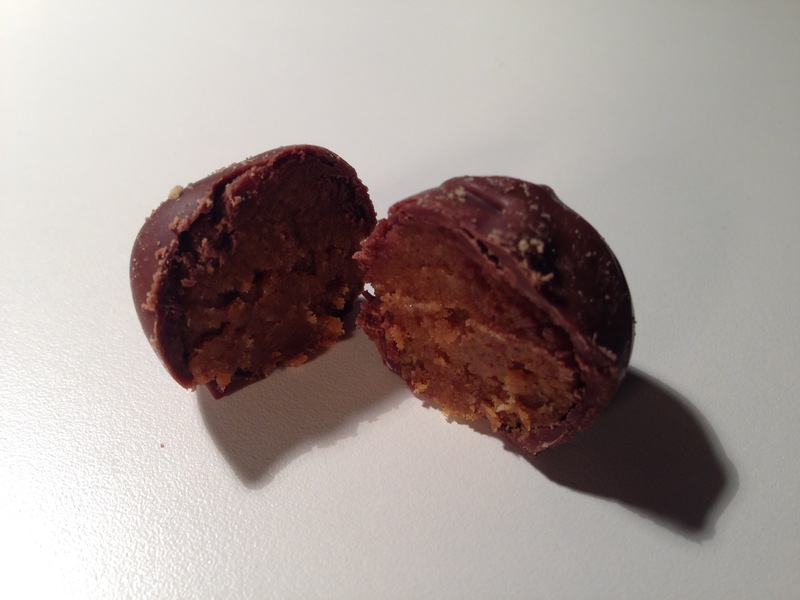 The texture of this truffle was softer than the smoky sea salt caramel, which was great! I also highly recommend this one 🙂 The flavors made me think about being in the woods visiting Vermont and New Hampshire while admiring the colorful fall leaves. 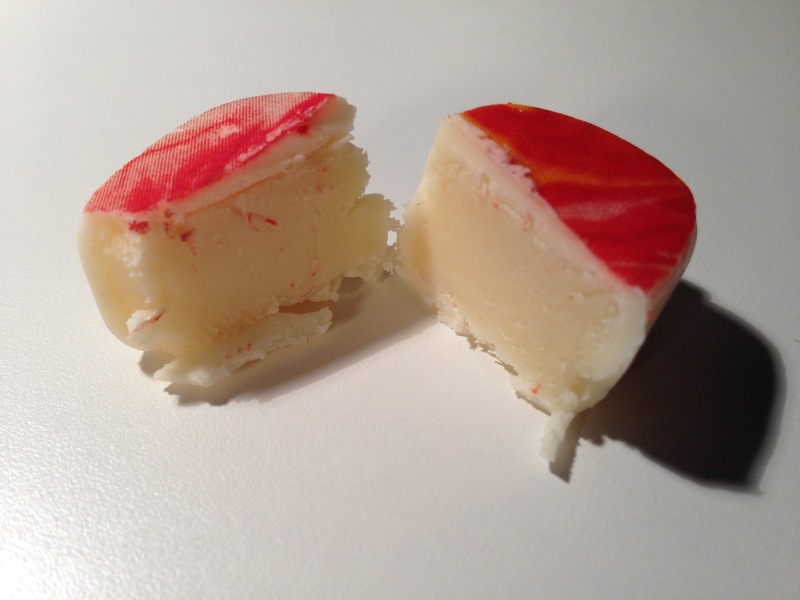 In my first bite, I tasted more tartness from the cheesecake ganache than the sweetness of the white chocolate, but in my next bite the flavors from the white chocolate and the cheesecake filling were more equal. I’d actually like to try the cheesecake filling with milk or dark chocolate. 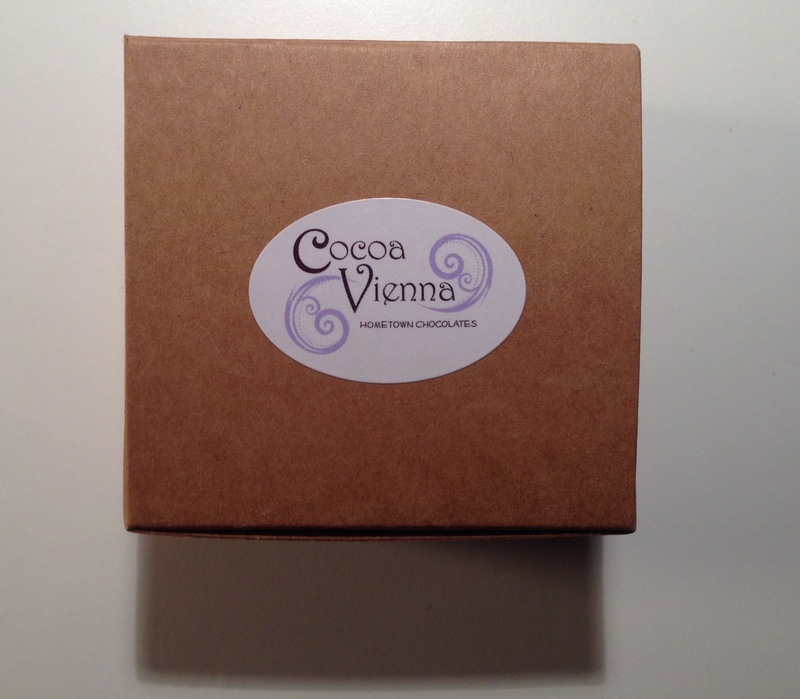 I highly recommend Cocoa Vienna if you get a chance! 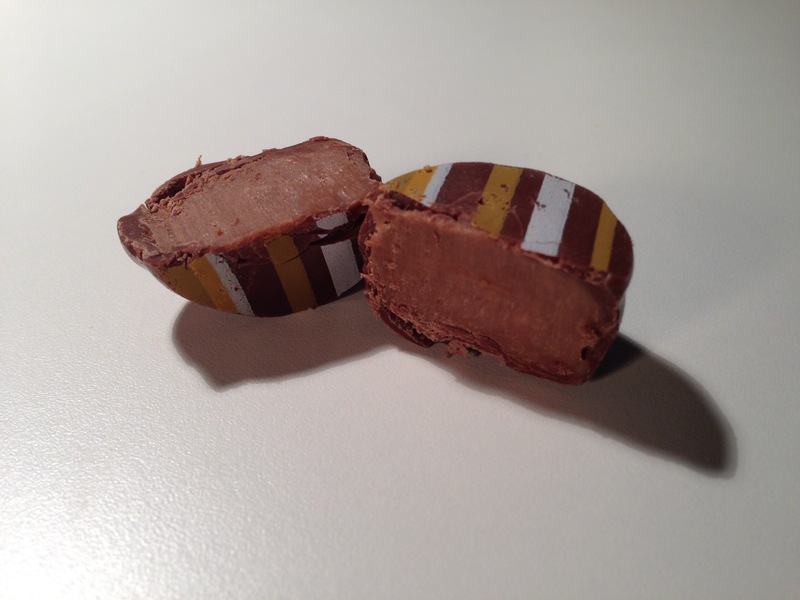 And if you’re on a budget, their chocolates look just as great as the more expensive boutiques, but won’t break the bank. I might even consider them as more family friendly as the atmosphere is laid back and they have chocolate covered Oreos and other chocolates that kids might find fun.